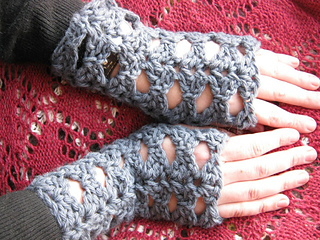 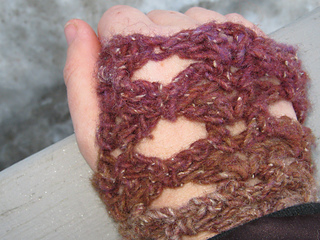 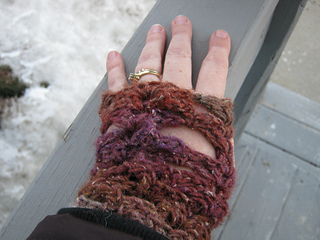 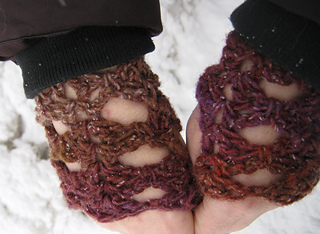 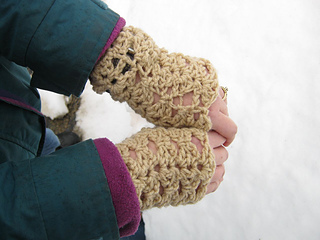 small 6" & large 7"
This is an easy pair of fingerless gloves, made in the round seamlessly but turned after each round. 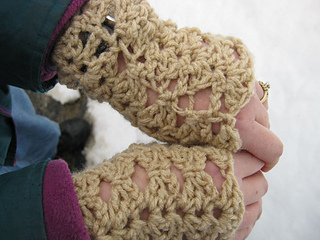 There is no gusset or thumb shaping, making these a great advanced beginner project! 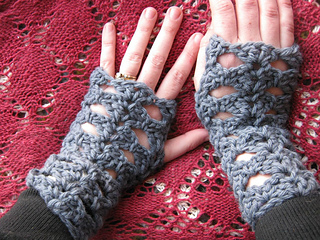 Two sizes are available, and the length is easy to customize. 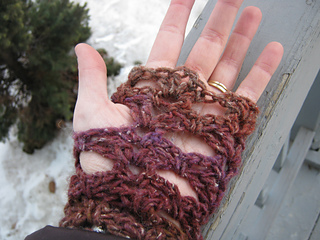 The gloves are also stretchy, which helps them to fit a wider variety of people. 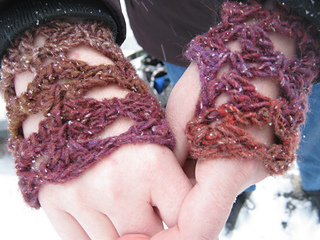 There is also a matching scarf available for free, called “Forget the Scarf”.